Or, Why Captain America: Civil War did not work and Rogue One did. Spoilers for both. I did not like Civil War. There were enjoyable parts of it (Spiderman), but mostly I couldn’t stand it, and the thing that bugged me the most is that the script refused to engage honestly with the central problem: should superheroes have to be registered and overseen by some kind of representative government? I only read some of the Civil War comics, since they are spread over almost every character in the pantheon, often imposed on the storyline in a way that feels inorganic, and tend to derail the arc of each character when it intersected with the Civil War story. And since the “event” was so clearly a ploy to try to get you to read other comic lines that you might not be in, it was annoying, as blatant cash-grabs often are. But at least in the comics Tony/Iron Man has legitimate reasons to be in favor of superhero registration, versus Steve/Captain America, who is against it as registration as its enforcement becomes more and more draconian and fascist. Registration is anti-freedom, as far as he is concerned, more about who the superheroes are than what they do. Steve and Tony both come at a difficult question from different perspectives, and address it in ways that are more or less true to their characters. 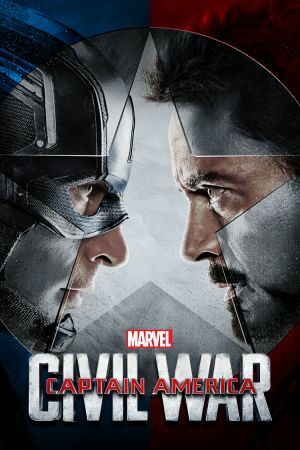 In the Civil War movie, the conflict is much more one sided. After several horrific missteps and attempted genocides by people with superpowers, the government wants some oversight. After The Age of Ultron, in which several of the characters are walking weapons with nuclear-bomb-level destructive capacity, it seems like they should not simply be independent actors who get involved with global conflicts whenever they feel like it. And in the movie, Captain America is against having oversight because governments want to bring Bucky Barnes, who has murdered a lot of people, in for questioning. Captain America is proved right through the laziest storytelling possible: the government is both corrupt and being suborned by this Zemo character, so it actually is better for the world, and more fair to Bucky, for Captain America to win. But he “wins” because the story entirely undercuts his character and the central conflict. It’s a narrative cheat. In an internally consistent world, with the conflicts set up by previous movies, some civilian, government-driven oversight of superpowered individuals would be highly preferable to superpowered vigilantes and terrorists who rarely think through the consequences of their actions, even if they intend good. Heck, maybe just coordinate with local medical facilities if you’re going to risk injuring people. Governments aren’t always right, but at least in theory, they represent the interests of the social contract and hopefully the majority of their citizens. A more interesting conflict would have been if Tony wanted full out registration and control of superheroes, and Captain America wanted consequences only if superheroes violated laws. Perhaps control versus cooperation and guidance. Or a question of whether governments should care about who people are or what they do. If you want to tell a story about corrupt governments, that’s fine, but that is not the story Civil War set up; the corruption was tacked on to stack the deck for Captain America’s side. Winter Soldier was a much better telling of basically the same story: the helicarriers’ mission was wrong because that much government intrusion and targeting people because of who they are or who they have the potential to be is inherently wrong–made worse when it’s controlled by Hydra, but wrong in and of itself. Engaging honestly with a premise is one of the reasons that I thought Rogue One worked, even after with any number of storytelling missteps and missing scenes. Most of the characters were paper thin and hard to connect with, but the movie engaged honestly with both the idea of war and what it requires of individuals, as well as the consequences of going up against a bigger and stronger foe. And the end, in which everyone dies, engages more honestly with the premise of the final act than I’ve ever seen in a blockbuster movie before. I was sure that at least Jyn and Cassian would be saved, but no. They went up against impossible odds and they died. We’re so used to seeing suicide missions where side characters die, maybe even beloved side characters, to make it feel “real”, but by the conventions of blockbuster storytelling, our heroes will never die. So endings lack punch and real stakes. Rogue One never pulled any narrative punches. People die in war; not just the plucky comic relief, or the guy who’s already lost his whole family so has nothing to lose. Many people die. Good and bad people. Doing the right thing is its own reward, not something that earns a happy ending with the romantic partner of the character’s choice. The fact that Rogue One killed off all of its main characters shows astonishing narrative honesty, and elevates this film far above any of its problems.